Will post updates here, going forward, on races and how our athletes performed. 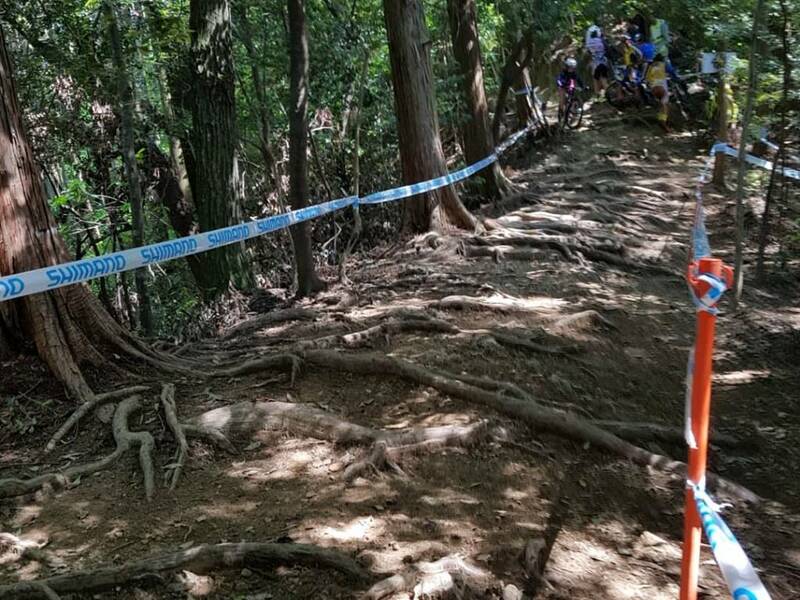 On the last Asian Mountain Bike Series leg in Japan (it's a C1 level UCI event), Ariana won first in the Women Elite category (despite racing as an U23 rider in the ACC Asian Mountain Bike Championships in Danao). Ariana's lead was over 5 minutes over the 2nd placed rider from Chinese Taipei. The scary part here is that the Women Junior riders from Japan: Urara Kawaguchi and Akari Kobayashi (18 and 17 yrs old, respectively) had a faster pace. They were on different strategies though, as they were doing 1 lap less. 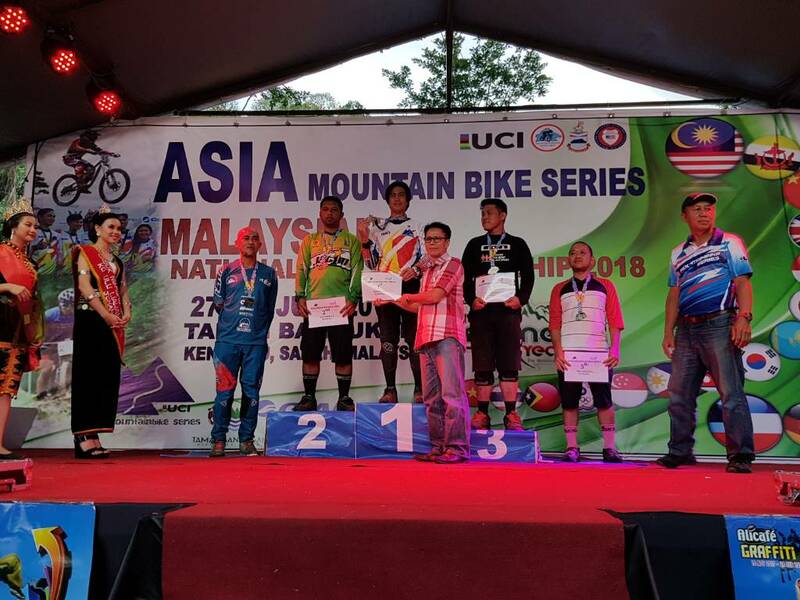 Niño Surban placed 23rd in a strong field composed of former World Cup competitors and former winners of past AMS (Asia Mountainbike Series) events. Kohei Yamamoto was 1st (the guy who made the viral bike transport video and is 9-time Asian champion), followed by Kiril Kazantev (KAZ) at 2nd, with World Cup regular Lysander Kiesel (GER) at 3rd. Track had good flow and has 2 technical sections composed or arm- and leg-sized roots. Most riders took the B-lines as it rained heavily that day. Track temperature was at about 18°C at noon (Women categories), which dropped to 14°C on the last lap of Men Elite (final event). Startline photos by Ryuta Iwasaki, roots photo is mine. 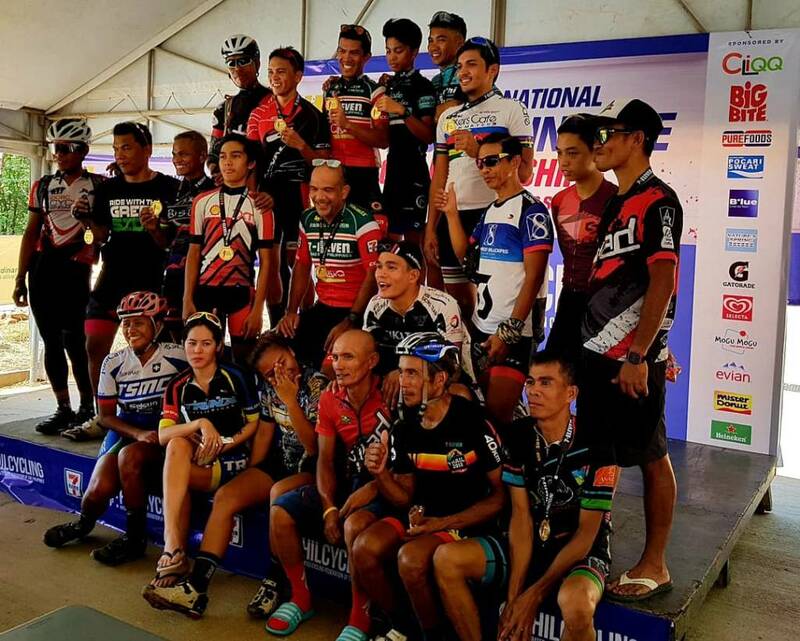 As expected, Nino Surban (Men Elite XCO), Jerich Farr (Men Elite DHI), and Lea Belgira (Women Elite DHI) stamped their class at the Philippine National Games in Danao City, Cebu. On the same tracks that were used for the ACC Asian Mountain Bike Championships. 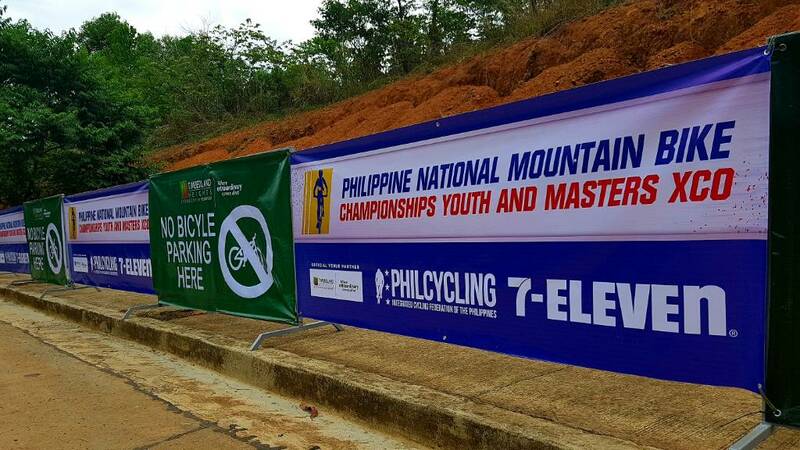 This is the first of, hopefully, many PhilCycling and UCI sanctioned events at Timberland Heights in San Mateo, Rizal. As it stands, many Pinoy riders are not used to UCI rules and regulations (e.g. 80% pullouts, proper conduct at feed and technical zones, race bib guidelines, jersey control, age categories, etc.) which actually hampers many of our riders when competing at international events. 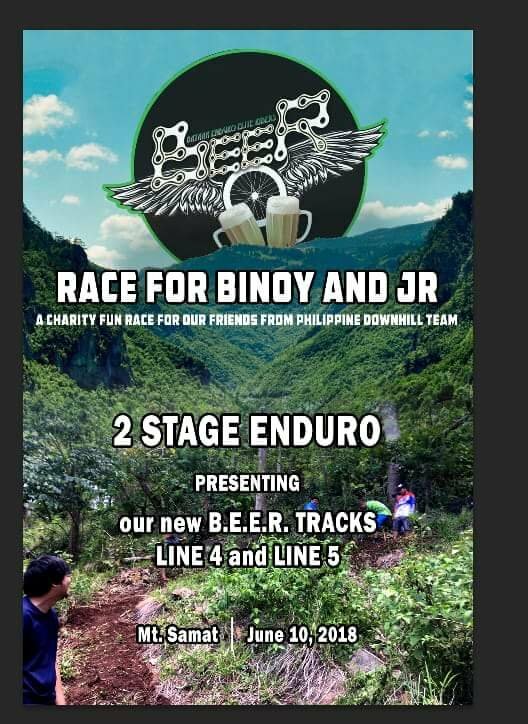 We need to do more of these races if we want to raise the profile of Philippine mountain biking. All the athletes who podiumed are on the photo below. See if you can identify some of them. very true... i must say that even on non-uci (ie local) events, guidelines aren't enforced strictly. 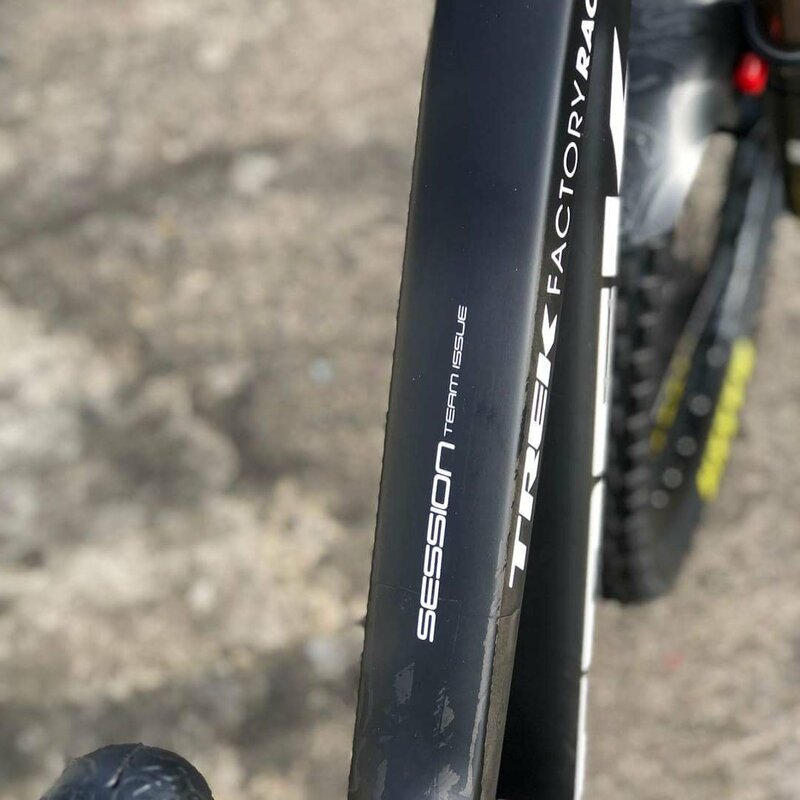 Speaking of Ariana, since her primary sponsor, Dan's has split with Specialized bikes, Dan's has given Ariana 2 new xc race bikes by Trek. 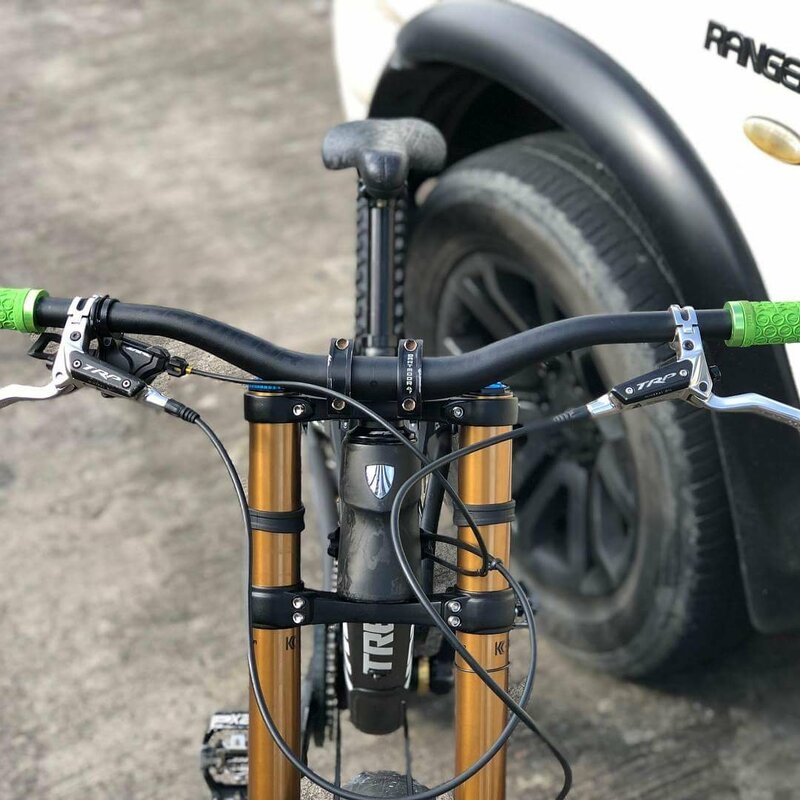 A Top Fuel FS and Procaliber Project One HT. 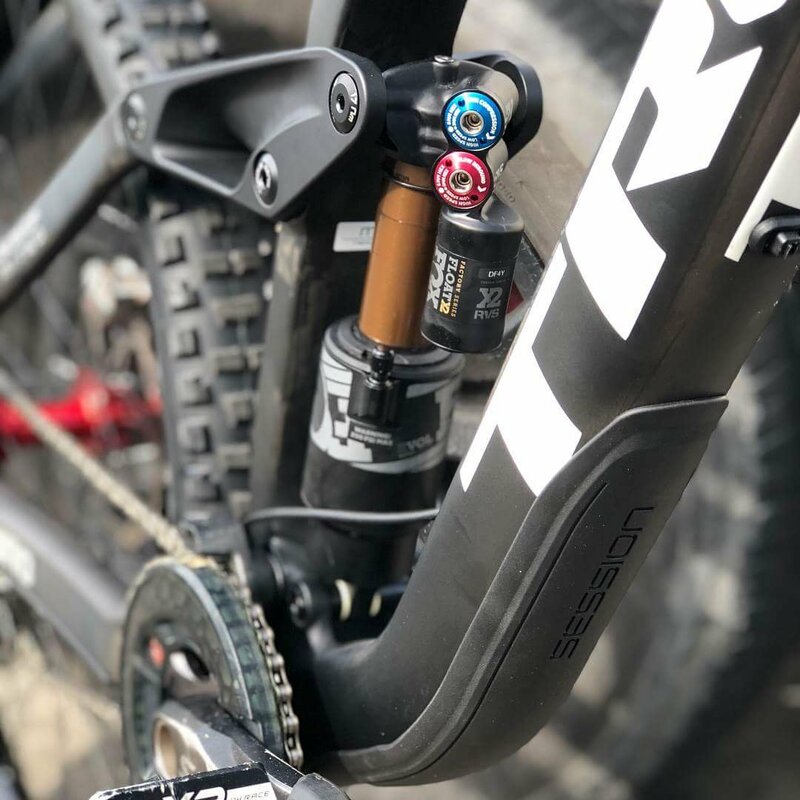 In her recent FB post, it could be seen that Ariana is trying out a dropper post for the Top Fuel. For the benefit of JR Barba and Binoy Salazar as they recuperate from horrific injuries. 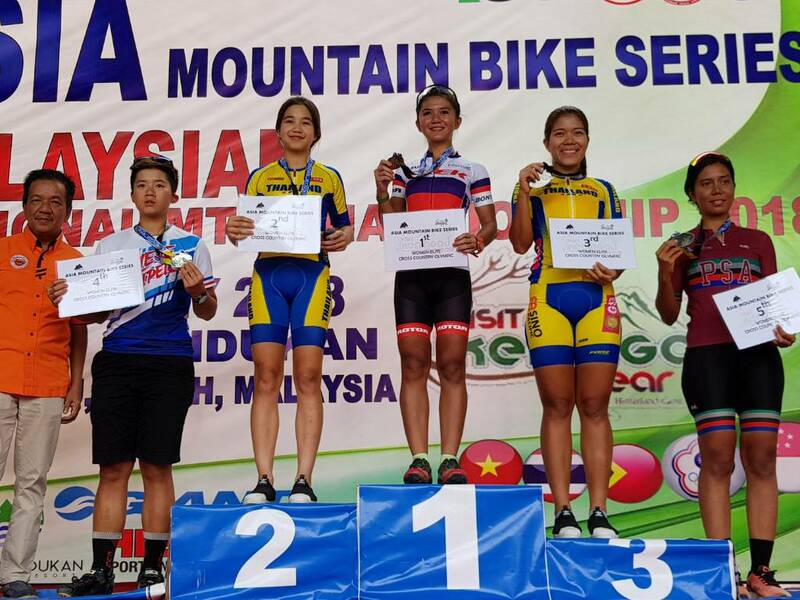 Team Philippines did well in the recently concluded Keningau, Malaysia leg of the Asia Mountain Bike Series. Every single rider of the delegation got on the podium. Ariana, Coach Eboy, and JR maintain their leaders' jerseys for their respective categories in the AMS 2018. 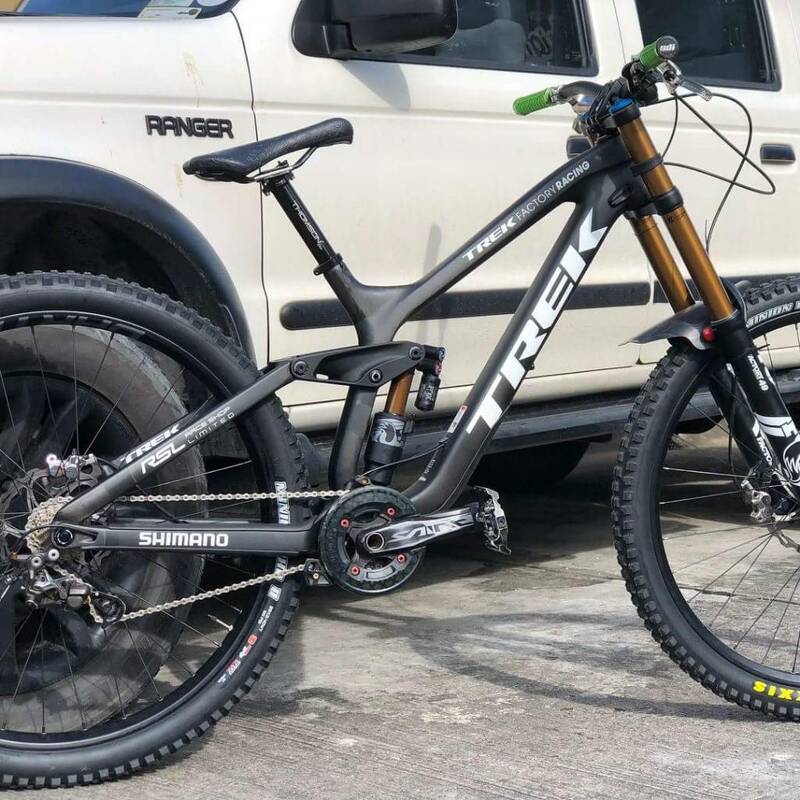 Jerich Farr's new beast is the first 29" DH bike used in Asian competition. Just in time for the Asian games in Indonesia. Ariana DNF today. She was looking strong, too. ouch...hope she's okay. teka, saan kayo nakakapanood nung event? tsaka anong oras? kahapon yung xco. wala akong napanood na live, ang live lang bali is yung feed sa website ng official website. abs-cbn s+a channel... late night, pero walang sched kung anong event ang ipalalabas. Sayang yung kay ariana... last lap na! after the downhill kung san sya nasemplang final stretch na to the finish line. Kayang-kaya nya yung chinese na nag-place 1 & 2 sa sprint. 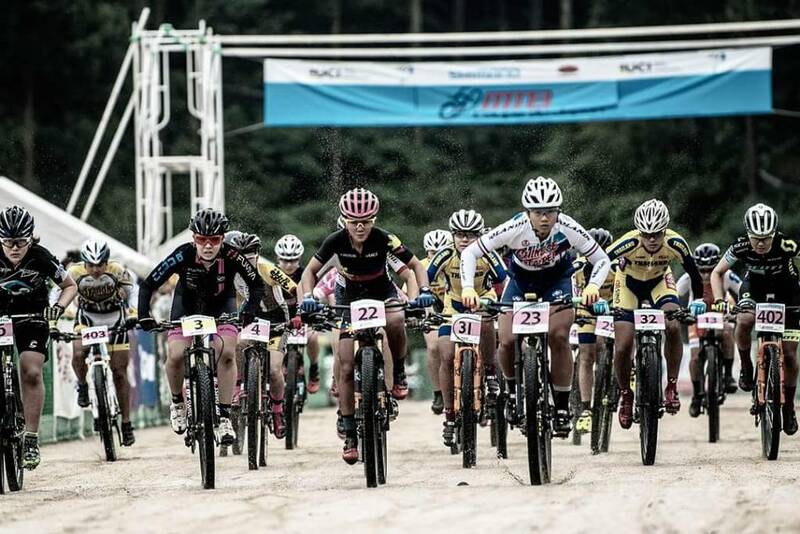 The Philippine MTB team will be in attendance at the Asia MTB Series' 4th leg in Clark, Pampanga. This will be on Sept. 28-30. 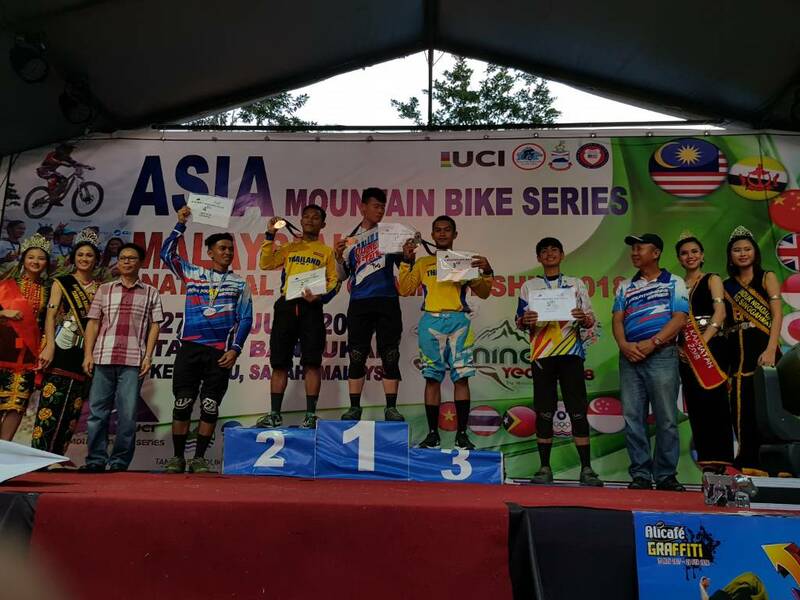 In the recent Clark leg of the Asia Mountainbike Series, our riders got beaten by the Thais on Men and Women Elite in both XCO (cross crountry olympic) and DHI (downhill - individual). 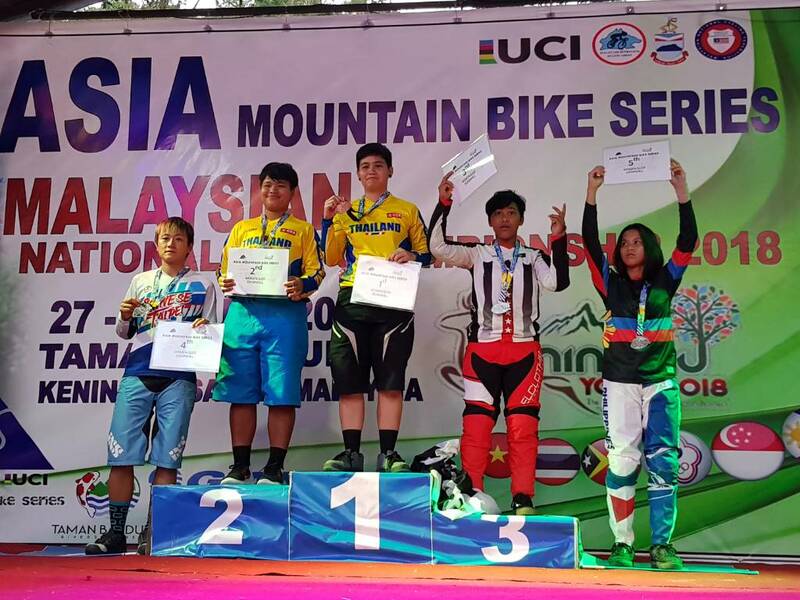 This is the same Thai team who competed in the recent World Championships in Lenzerheide and the Asian Games in Jakarta. They are the most professional SEA team and are well funded and supported by the government. 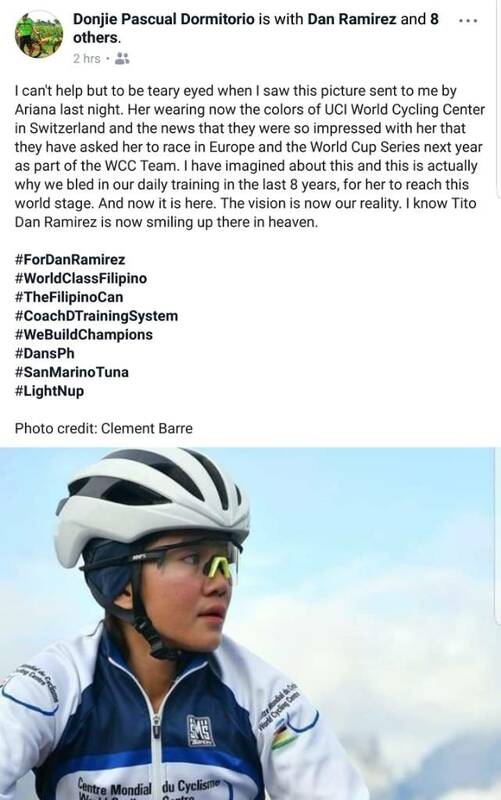 It's just sad that Ariana Dormitorio, Jerich Farr, JR Barba (lost by a fraction of a second), Lea Belgira, EJ Flores, Cesar Lapaza (no longer part of the PH Team but still one of our top riders), and many more were not able to win it at home. 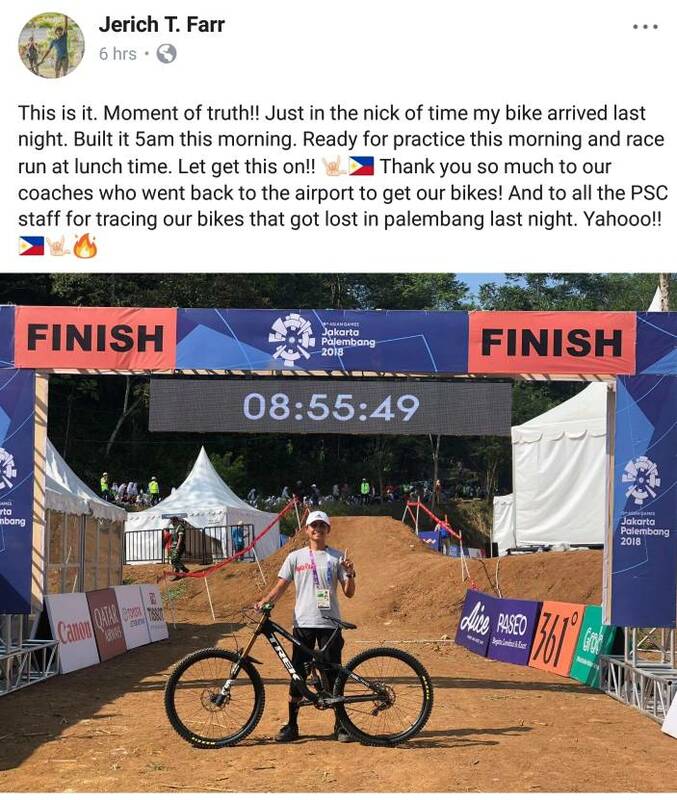 Nino Surban (XCO men elite) was in Cebu and had other commitments. The winning Thai Women Elite riders won by big margins (both in DH and XC). The most surprising of which was Warinthorn Phetpraphan (who is now competing again after 2 years of not racing due to college) beating Ariana by nearly 2 minutes on a 9-minute track. Ariana wasn't able to recover from a crash on the penultimate lap as Warintorn sped away. Lea is still not 100% yet from her wrist injury so getting 3rd was a good result in DHI (14.9 sec behind the winner). Vipavee Deekaballes won the gold while Siriphatson Chatkamnoed was a close 0.281 seconds behind. The Thai ladies have been consistent all year. 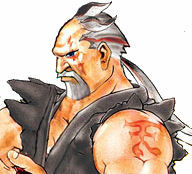 The Men Elite stories were slightly different. 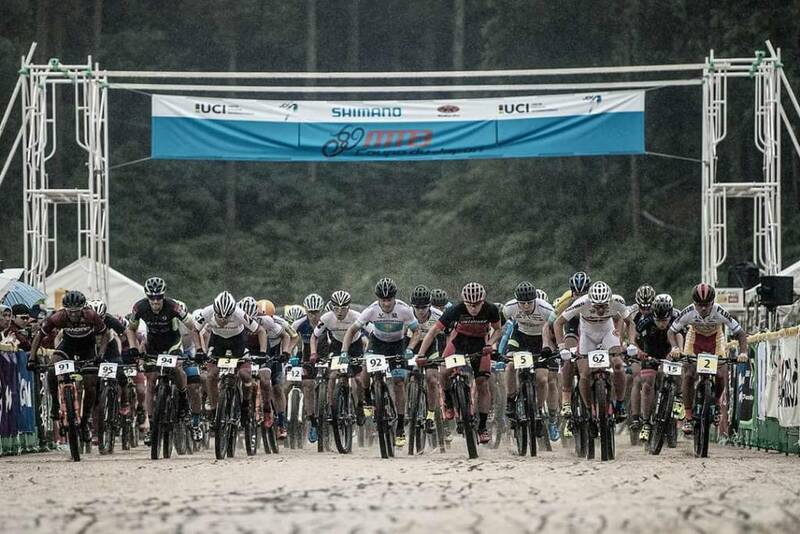 EJ lost by the slimmest of margins as his chain broke during the sprint finish vs the winner, Thai Pariwat Tanlek, on Men Elite XCO, 10 meters from the checkered flag. 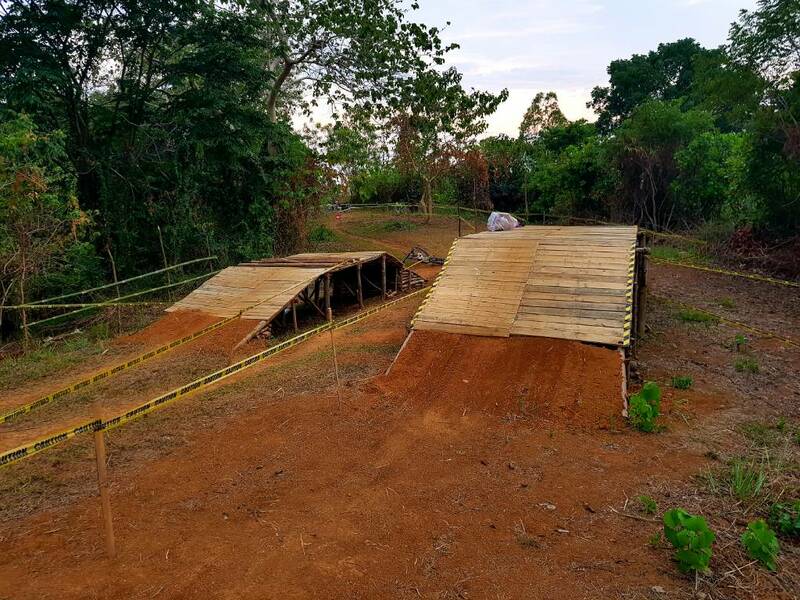 Butuan City pride Cesar Lapaza was mere seconds behind, his braking mistake at the single track costing him time. 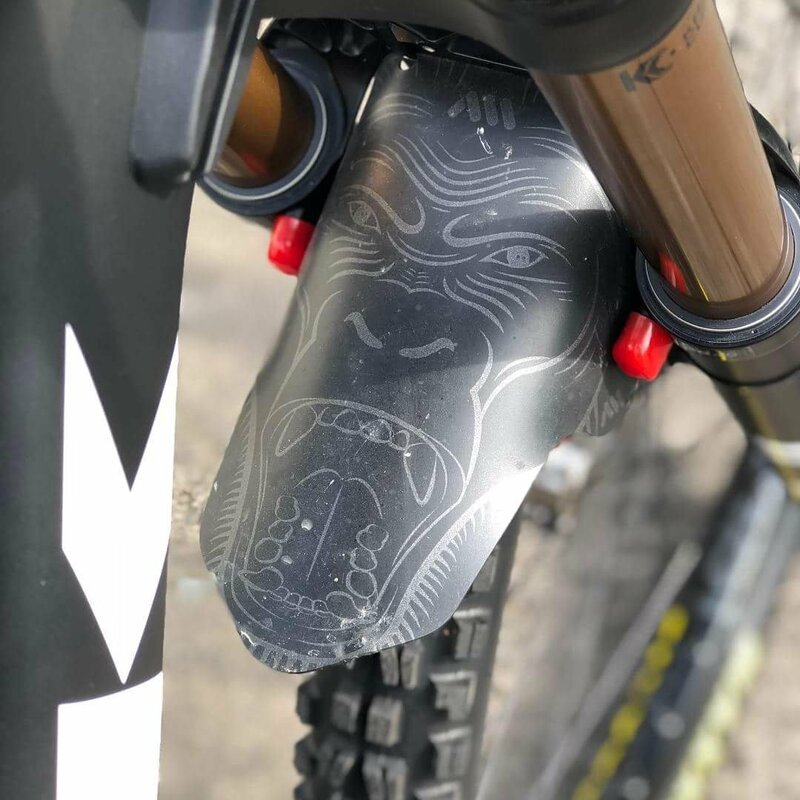 In the DH, JR lost by a blink of an eye 0.429 seconds to Suebsakun Sukchanya, probably gained on the jumps and drops as JR chose to ride his enduro bike instead of his Taokas Dumun DH. JR was actually faster by more than a second than Suebsakun during his seeding run. 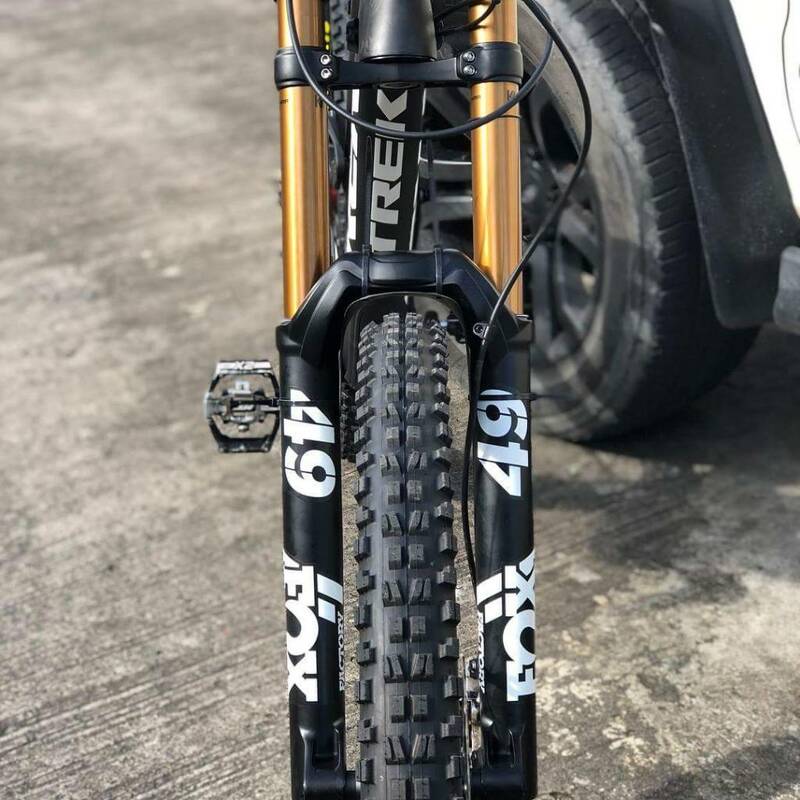 Jerich won the bronze just 2 seconds behind on currently the only 29er DH bike in competition in Asia, a Trek Factory Team edition of the Trek Session. 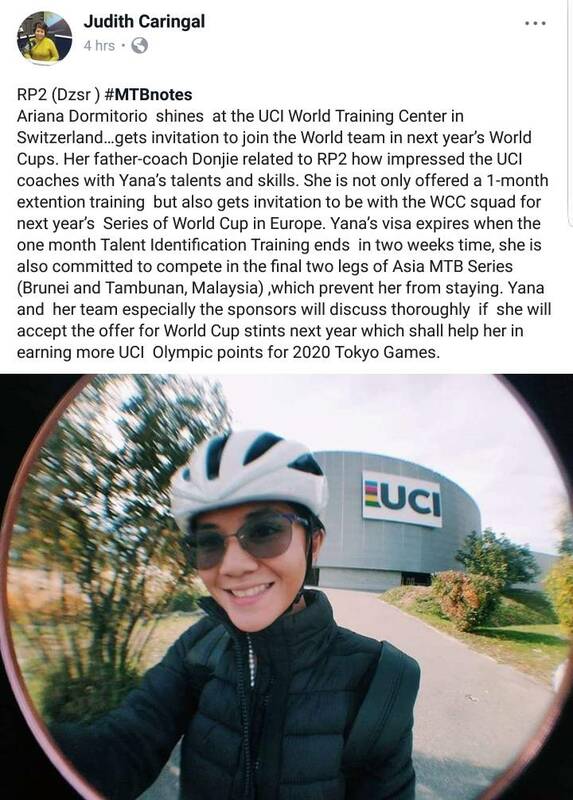 We finally have a Pinoy (este, Pinay) who'll be racing in the UCI World Cup!! I hope she gets more sponsors and more opportunities. She'll have her hands full juggling all the traveling and competing against other U23 Women from the top teams.